Some of the fundamental limitations of existing near-eye displays (NEDs) for augmented reality (AR) are limited field of view (FOV), low angular resolution, and fixed focal state. Optimizing a design to overcome one of these limitations typically leads to a trade-off in the others. This project introduces an all-in-one solution: deformable beamsplitters. It is a new new hybrid hardware design created by combining hyperbolic half-silvered mirrors and deformable membrane mirrors (DMMs). 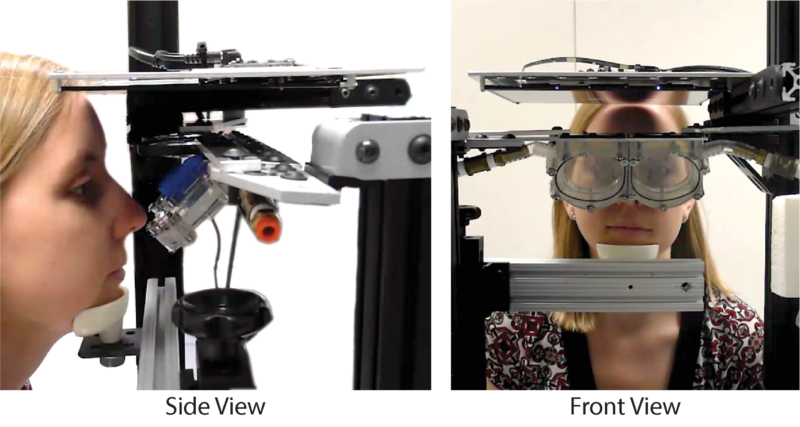 The key components are two see-through DMMs controlled by airtight cavities to change the effective focal power and present a virtual image at a target depth plane. The benefits of the membranes include a wide field of view (100 diagonal) and fast depth switching (from 20 cm to infinity within 20 ms). The display promises to address vergence-accommodation conflict caused by lack of accommodative cues and offers wide-field-of-view capabilities.